Guns have existed in various forms for hundreds of years, and few objects have had such an immense impact on the history of the world. But how did firearms develop? Why did the styles of guns change over the years? Firearms tells the life story of the gun, from the hand-held weapons of ancient humans, to the medieval guns of China that propelled objects by chemical reactions, to the modern assault rifle, the gun as the primary weapon in the modern army, and the gun as a tool for hunting. 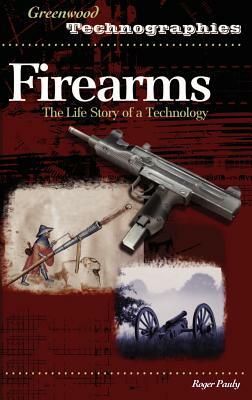 Not only does the book demonstrate how firearms developed--an evolution dependent upon years of trial and error, and often based on the recurrent need for power, accuracy and a fast rate of fire--but it shows how these advances directly affected the everyday life of people in almost every civilization on earth. Firearms provides both students and interested lay readers with insights on how this ubiquitous technology came to be. The work does not focus on just one type of firearm, but covers all types of relevant weapons. Exploring the life-story of the gun enables the reader to understand how the firearm came of age in Europe, where competition between nations led to the development of different types of firearms--now known as matchlock, wheelock, and flintlock. As successful as these designs were, it was the precision manufacturing of industrialization that would allow the invention of revolvers, breechloaders, and repeating rifles. Eventually, recognition that the gas and recoil of a shot could be used to reload a gun encouraged development of the semi- and fully-automatic weapons that dominate firearm designs today. Firearms includes a timeline of significant developments in the history of guns, and a bibliography of the most important works for further research. Roger Pauly teaches history at the University of Central Arkansas. His intersts include Victorian Britain, military history, and the history of science and technology. He earned his PhD from the University of Delaware.